Part of Greenfield, Massachusetts-based Valley Medical Group's approach to healthcare is to ask each team member to work at the top of their job description. That means, for example, that the organization wants to have clinical staff doing clinical work, providers making clinical decisions and workflows as efficient as possible. 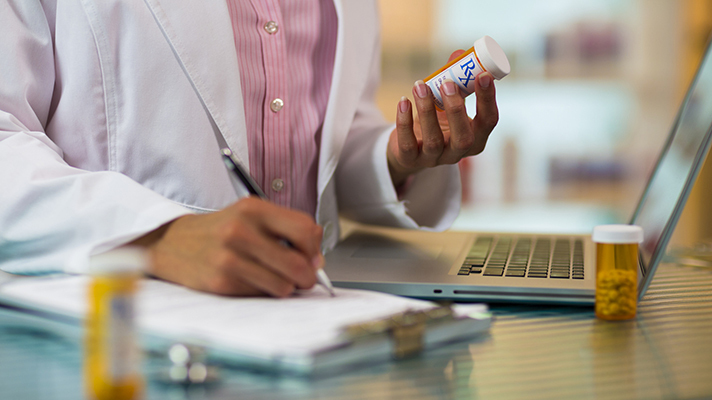 Some of the most time-consuming and least rewarding aspects of such work are the tasks that happen between patient visits, and this includes prescription refills. The previous workflow included routing refill requests to a clerk who would troll through a chart, collecting information on last previous visit, last refill date and quantity, last blood pressure, and any relevant lab results. The clerk would enter this data in the refill request, then route it to the ordering provider's assistant. "This staff person would either approve the refill as a delegate or send it along to the provider to approve," explained Martha Mastroberti, healthcare informatics manager at Valley Medical Group. "While Valley Medical had refill protocols, they were inconsistently applied. They were not very efficient and sometimes resulted in a delay of medications for patients. In addition, pharmacies in the area routinely send additional faxed refill requests if they've not heard from us within 12 hours – creating more work and possible duplicate medications." Valley Medical uses athenahealth as its EHR and found out about a medication management vendor called Healthfinch through athenahealth's More Disruption Please Marketplace, which means Healthfinch is already vetted and approved by athenahealth and will seamlessly integrate with athenaNet. Medications are, obviously, one of the key components of healthcare today. As such, there has been a lot of development of health IT surrounding prescriptions. Medication management vendors include Allscripts, Cerner, DrFirst, GE Healthcare, Genoa Healthcare, Medication Management Systems, MedMinder, Omnicell, PointClickCare, Surescripts and Talyst. Valley Medical turned its medication management system on for a handful of providers, not changing workflow at all, just asking them to be aware of the protocol status – In Protocol, Out Of Protocol, No Protocol, Duplicates – and to think about if they agreed with the status or not. "Our next step was to continue to add more providers to the system while we customized the protocols," Mastroberti said. "We got to decide, for example, what visits were qualifying – not nurse visits, for example, or urgent care. Then we started rethinking the workflow. We delegated the clerical staff to approve all In Protocol refills and to delete all Duplicates. This reduced the number of prescriptions going to clinical staff or providers by 80 percent." Further, the combined health IT has gotten things to the point where Valley Medical only needs a clerical staff member to handle 60 percent of requests. "By automatically applying a protocol or standing order, the technology is inherently telling the staff which work they can and cannot handle and how it should be handled," said Healthfinch CEO Jonathan Baran. "In the absence of technology, all the work would need to be done manually. " Automating has become very important to Valley Medical in three ways, Mastroberti said. "It has improved efficiency – fewer handoffs, less scurrying through the chart, no transcription errors by the clerk," she said. "Refills are completed by noon every day, hours after arriving in the inbox. Patients are happy about this, we're getting fewer calls into the practice inquiring about the refills. Because the process is so efficient, the clerical staff is completing their refills in half the time. We now send them all of our prior authorizations." Staff and provider satisfaction has also improved: Valley Medical is not asking clinical staff and providers to do clerical work, so it is maximizing the use of clinical staff, Mastroberti said. And Valley Medical's risk management company is happy because it is consistently refilling medications according to an established, identifiable protocol, and thus everyone is doing it the same, she added.